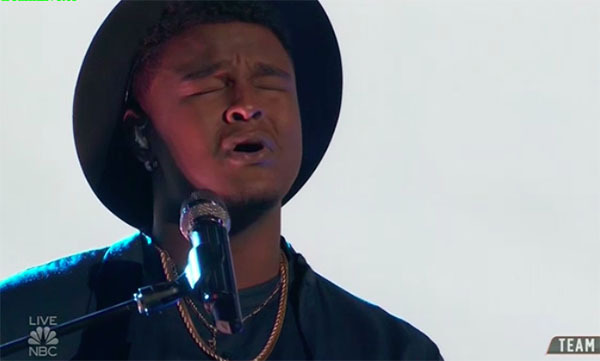 DeAndre Nico from Team Adam sings “I Can Only Imagine” on The Voice Season 15 Top 13 Live Shows, Monday, November 19, 2018. “You can sing anything and I love the spirit your brought to that song,” said Jennifer Hudson. “You are an amazing singe with an incredible unique gift,” said Adam Levine.